Did Mary Todd Lincoln Just Have a Health-Wrecking Vitamin B12 Deficiency All Along? Mary Todd Lincoln, somewhat notoriously, had some problems. After a somewhat controversial life in the public eye as well as seeing her husband assassinated and three of her four children beat her to the grave, she did time in a mental institution. Now a doctor is theorizing that her troubles might’ve gone back to a condition called pernicious anemia, the result of a severe vitamin B12 deficiency. Hmm. In an interview, Dr. Sotos said that while he was studying President Lincoln, he came across something that intrigued him about Mrs. Lincoln: an 1852 letter mentioning that she had a sore mouth. He knew that vitamin B deficiencies could cause a sore tongue, and he began looking into her health. Pernicious anemia could explain many of her problems, both mental and physical.... The disease develops gradually in people who cannot absorb enough vitamin B12, which the body needs to make DNA. Deficiencies impair the ability to make red blood cells and can affect every organ, including the brain and nervous system. 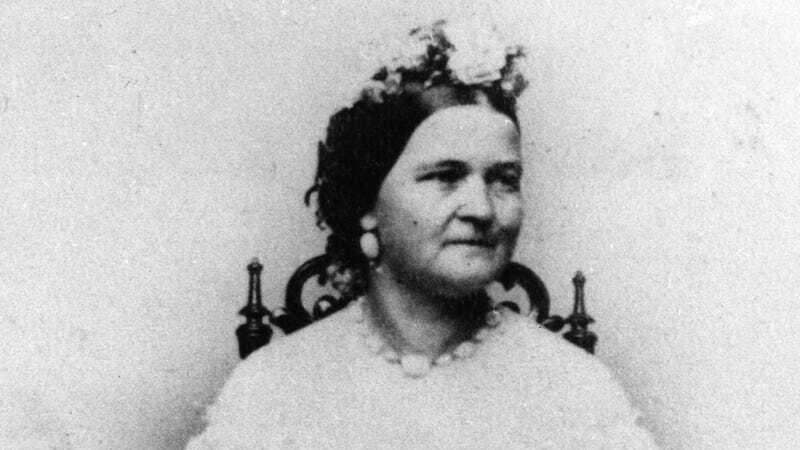 Mary Todd Lincoln does seem like the type of woman who would have been very into vitamins if they’d been available. But there’s some question as to the fairness of her longstanding characterization as unbalanced. And if she was, there were probably a couple of other stressors in there.